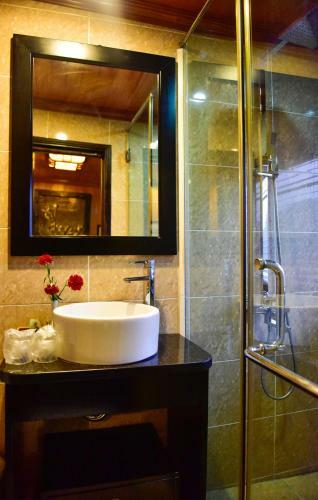 Fitted with parquet flooring, comfortable air-conditioned rooms are furnished with a wardrobe, telephone and seating area. 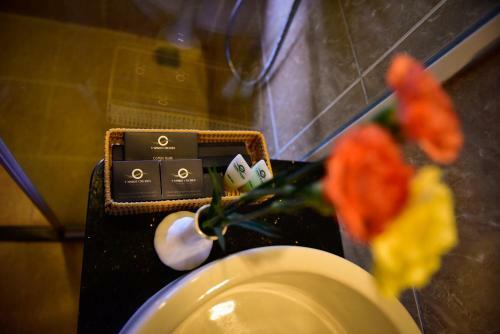 Rooms offer sea views and come with an en suite bathroom equipped with hairdryer, shower and free toiletries. 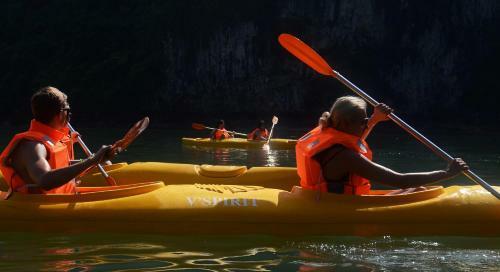 On board V'Spirit Classic Cruises, guests can enjoy activities such as canoeing, fishing and kayaking. 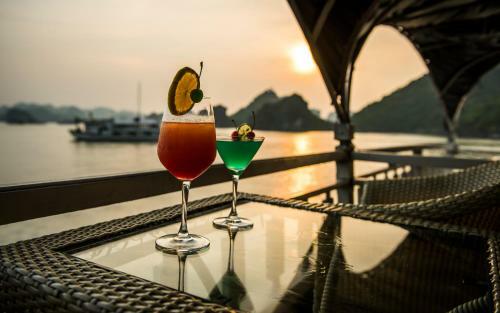 Guests may also spend time relaxing with a drink at the sun terrace. 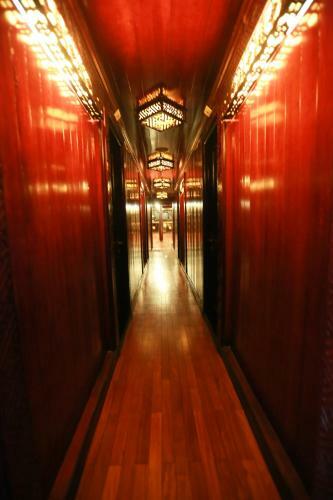 Luggage storage is available. 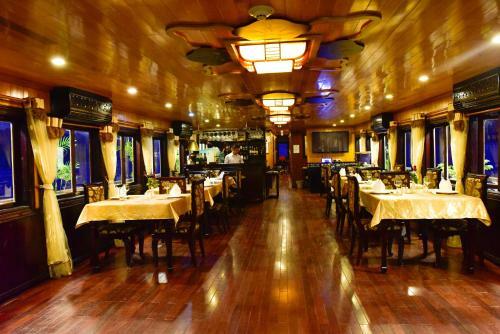 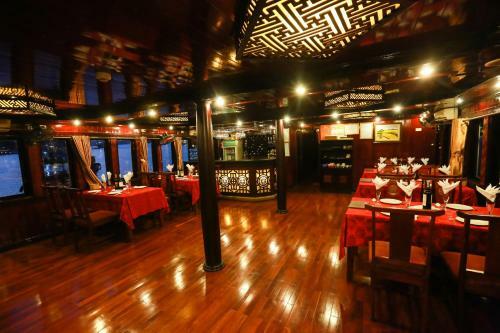 The cruise features a restaurant which operates 24 hours, serving a delectable spread of Western and Asian dishes. 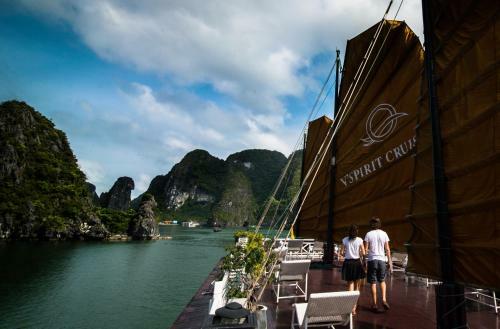 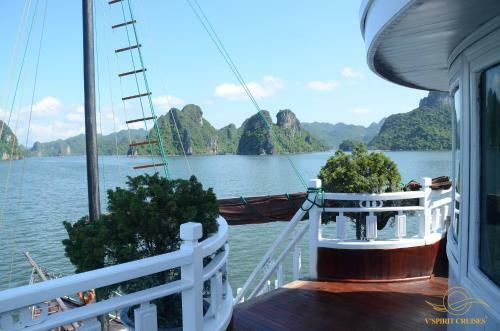 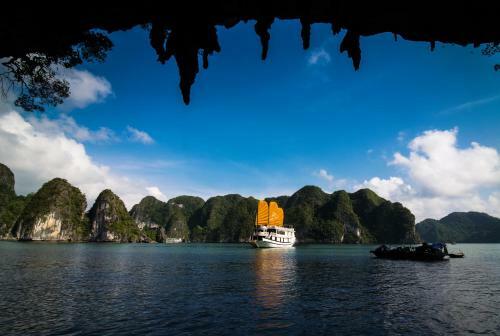 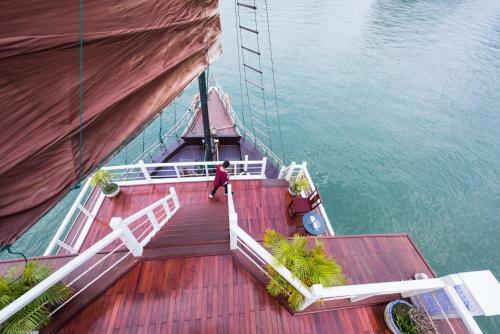 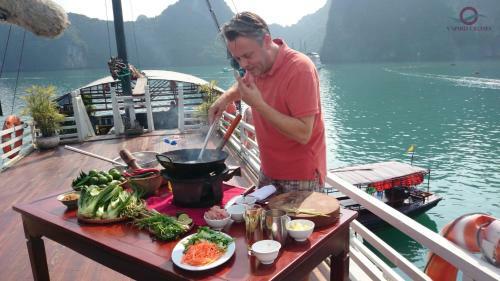 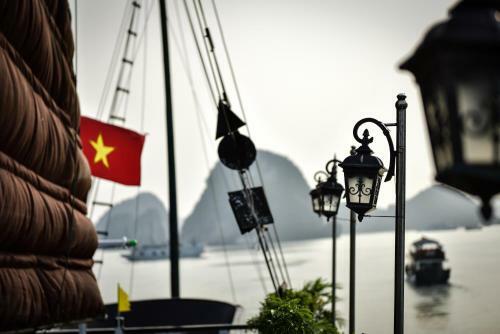 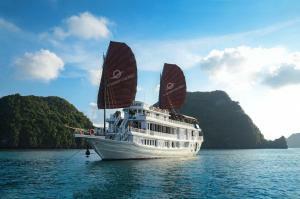 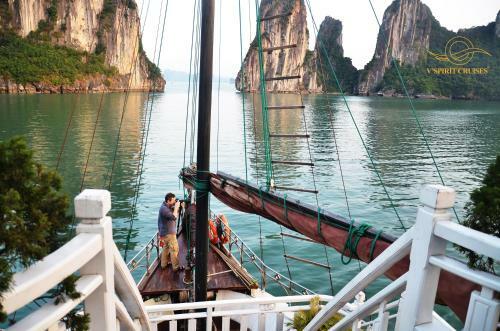 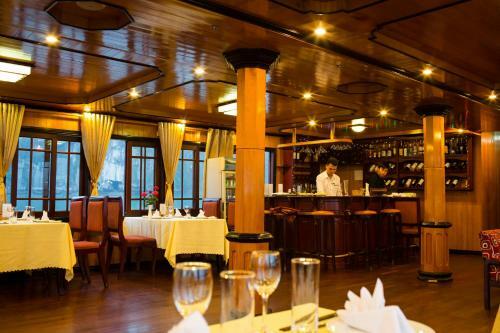 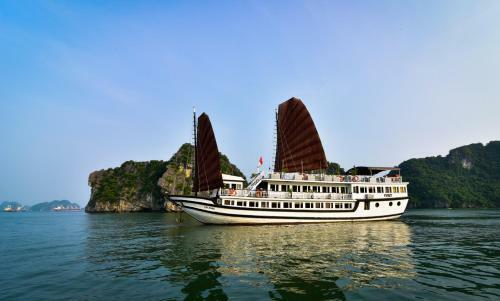 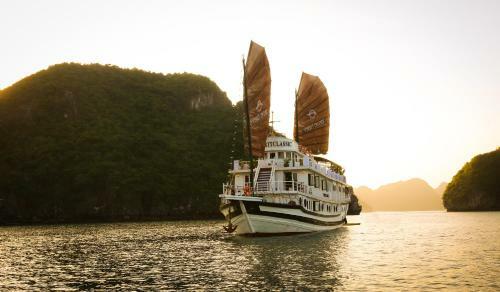 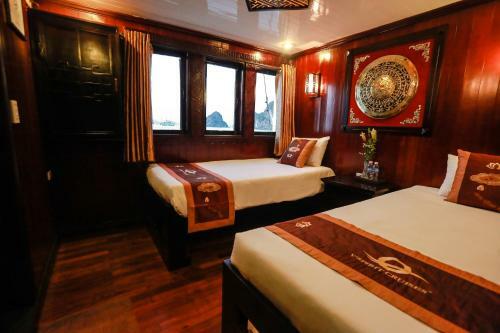 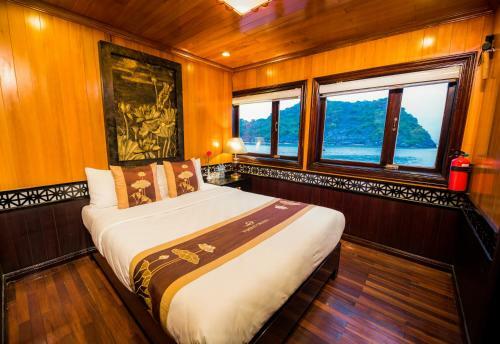 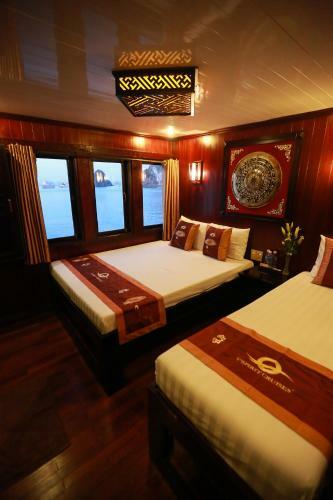 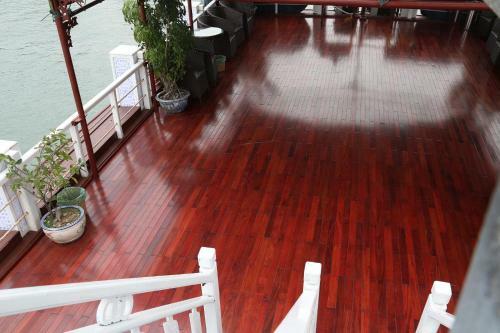 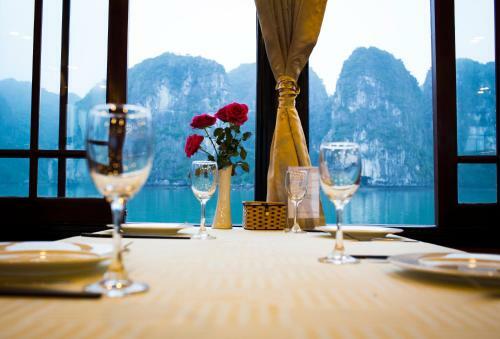 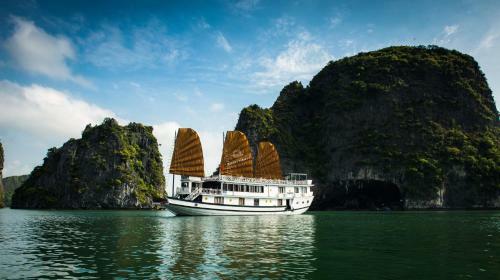 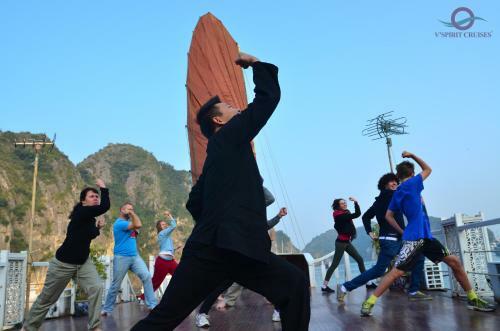 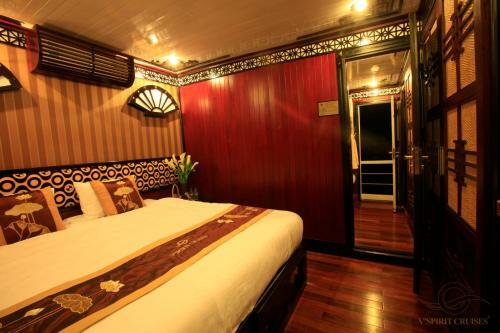 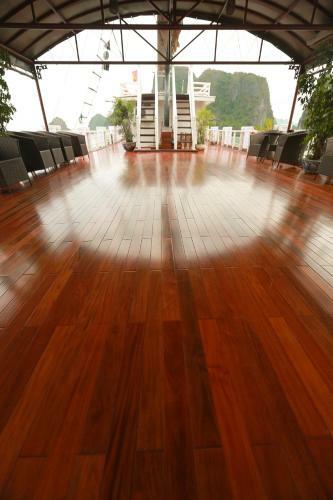 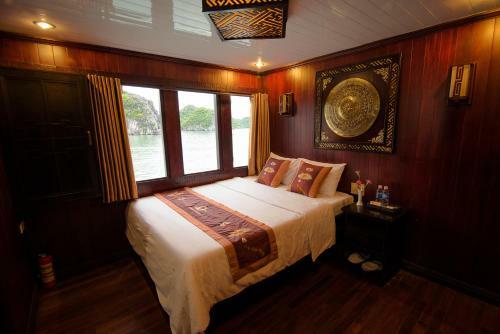 V'Spirit Classic Cruises is a 20-minute drive to Ha Long city and approximately a 90-minute drive to Hai Phong city. 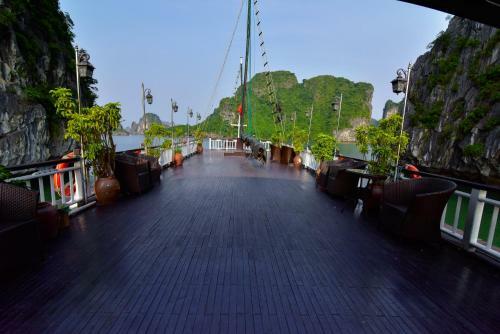 The magnificent Sung Sot Cave is within a 2-hour cruise away.